The Centers for Medicare & Medicaid Services (CMS) is inviting small practices that work in rural and medically underserved areas to join a webinar on Wednesday, Feb. 1, at 1:00 p.m. (Eastern Time) to learn more about participation in the Merit-based Incentive Payment System (MIPS) track of the Quality Payment Program. During the webinar, CMS will provide information about eligibility, how to participate in MIPS in 2017, methods for submitting data to CMS, performance categories, how practices are scored, and other resources for these types of practices. Participants will also have the opportunity to ask questions during a Q&A session. Space for this webinar is limited, so you are encouraged to register as soon as possible to secure your spot. After you register, you will receive an email message with a webinar link. 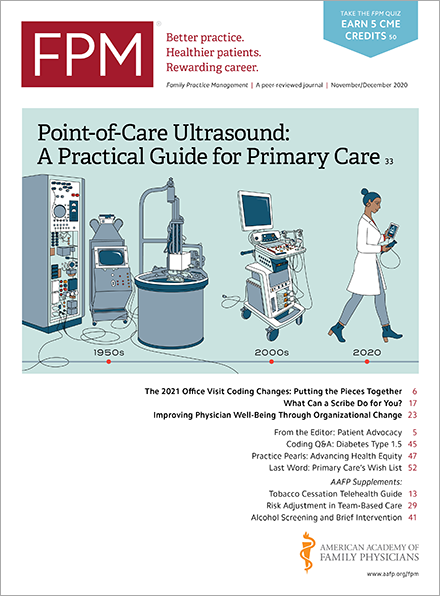 For more information on MIPS and the Quality Payment Plan in general, read this article in the latest issue of FPM.